Seat 20% more students in the same space. The design of BioFit’s patented 10-Seat Oval Table reduces noise, aids communication and improves space utilization. 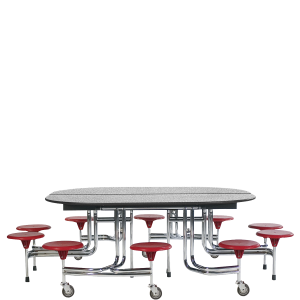 Its attached seating and easy folding bring function and mobility to cafeterias, training settings and more.